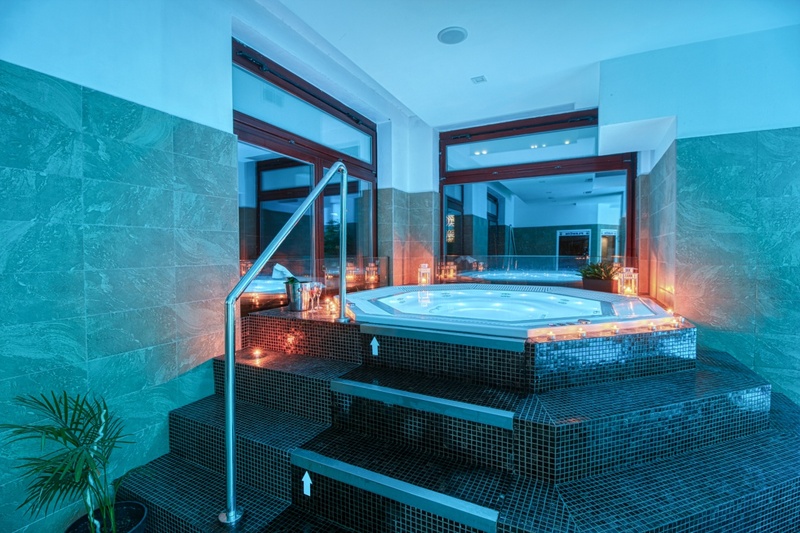 Combination of relax and unforgettable adventures will lead to perfect holiday. 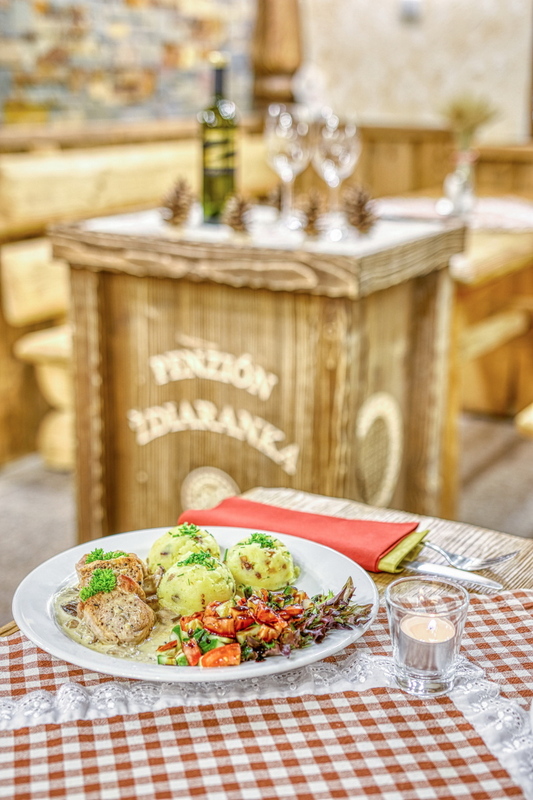 Zdiar offers perfect tourist tracks in the whole Belianske Tatras. 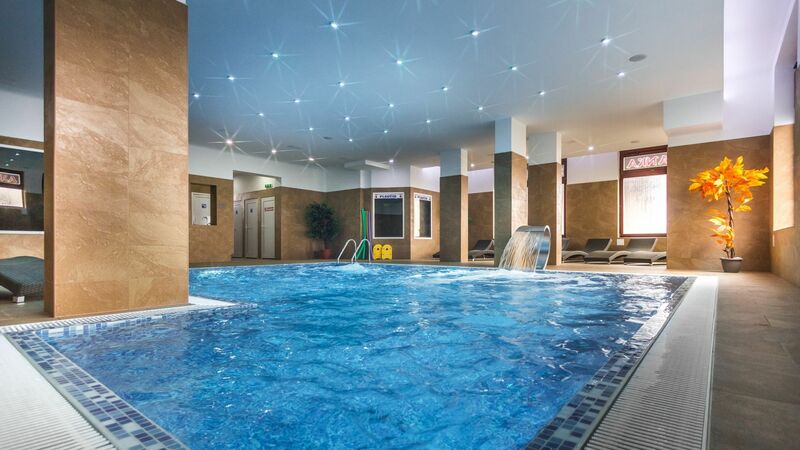 Give your body a rest in our relax pools or finnish sauna. 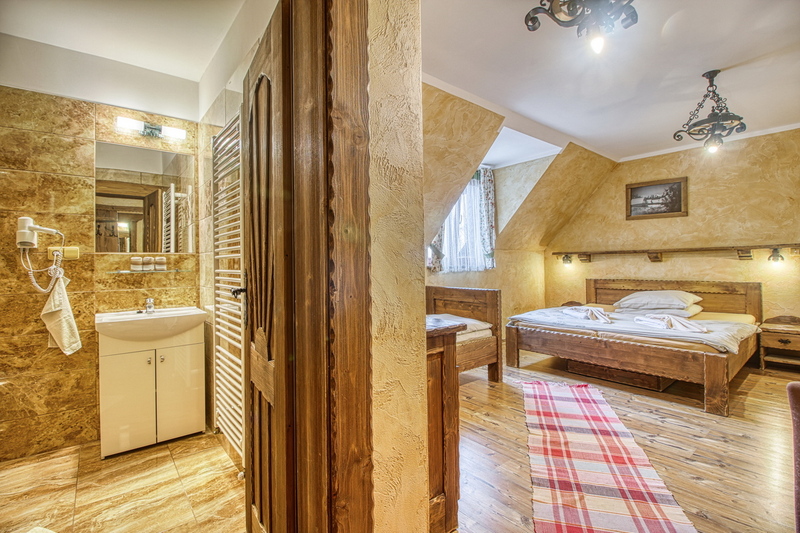 Come and experience in our pension the power of nature of the Belian tatras and Spišská Magura. 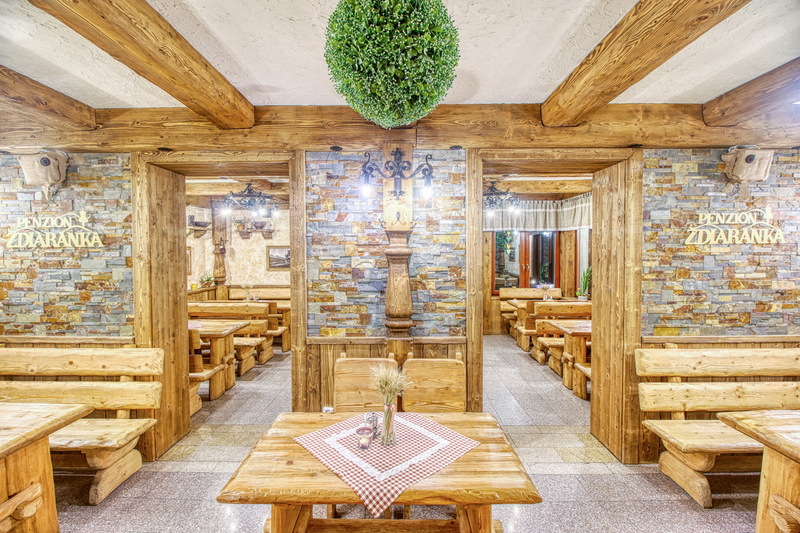 The pension is located in the goral village of Ždiar. 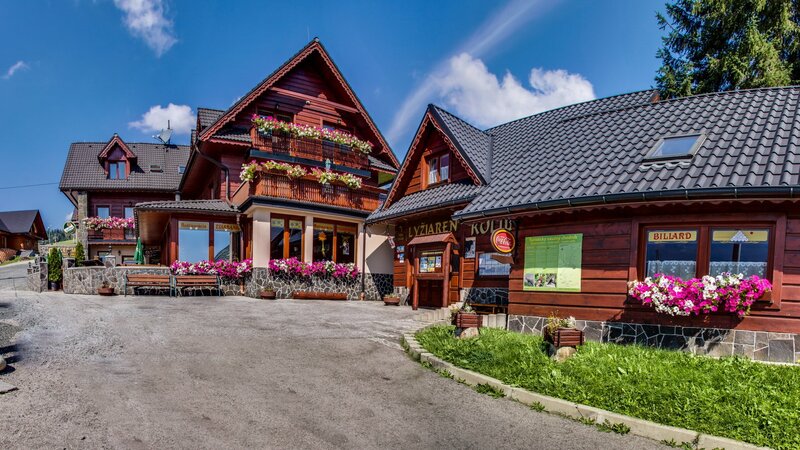 The location of the pension is attractive mostly due to the proximity of High Tatras, where you will be charmed not only by the panorama of Belian Tatras, but also by the excellent cuisine, helpful personal, kind owners and amazing wellness with a view at the High Tatras. According to the legends, people from nearby villages used to go into the dense forests in the broad valley of river Biel, where they would burn charcoal. One of the charcoal burners has built himself a small hut in the middle of the forest. Only a single window on the hut was facing to the side, where the Zornicka light was shining into the room. 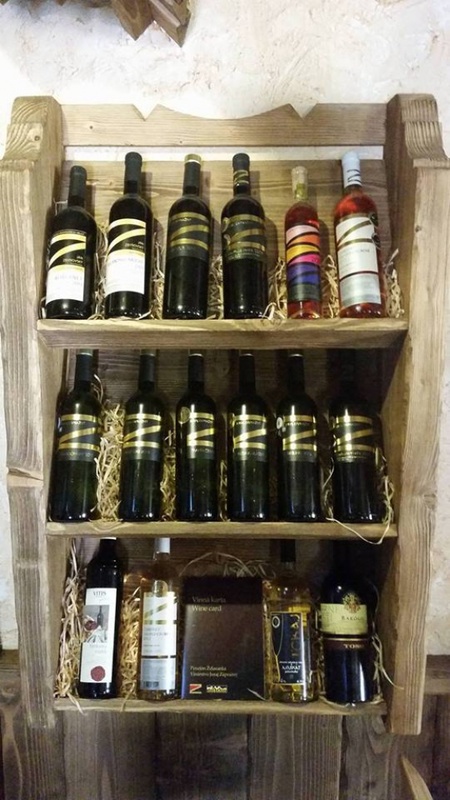 More huts have grown around the charcoal burner’s hut and because every resident was fascinated by the shining light of the star, they named the village „Zor“ – Ždiar. 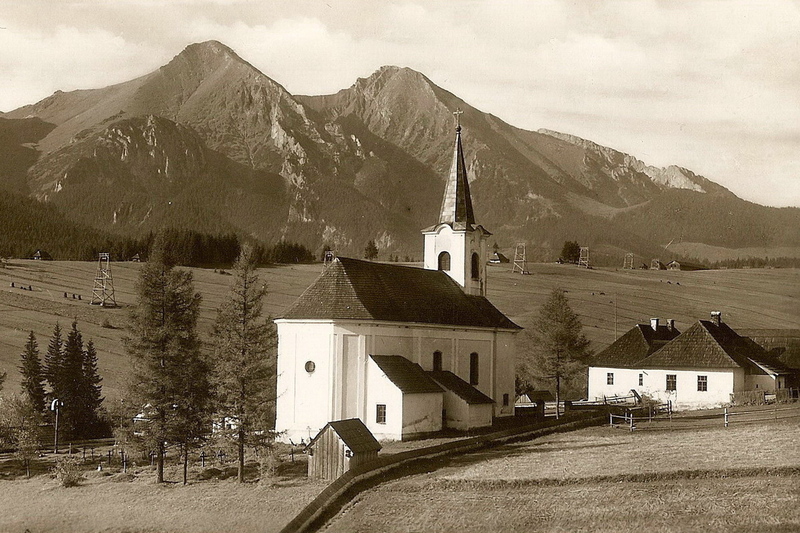 But Ždiar as a village was established by František Luzinsky, a castellan of the Horvath landowners in 1590. The village was a part of the more stable settlements of the valas residency. 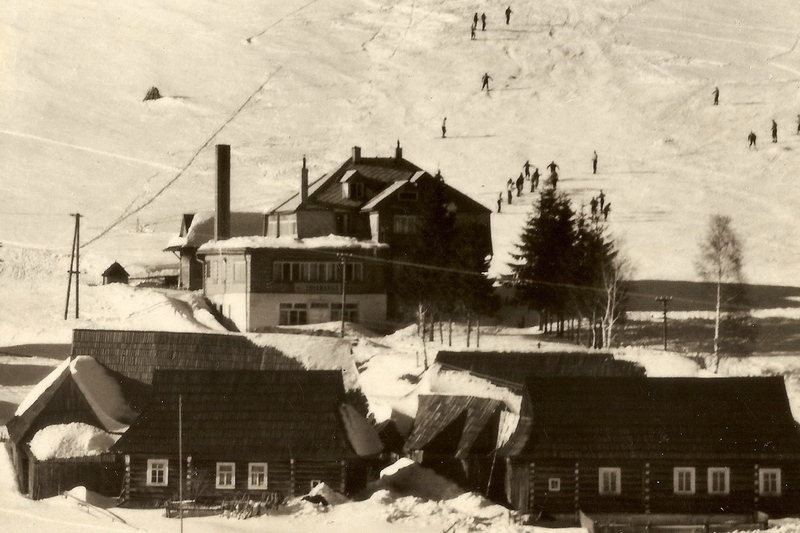 Its residents worked as lumberjacks, sheep shepherds and charcoal makers. 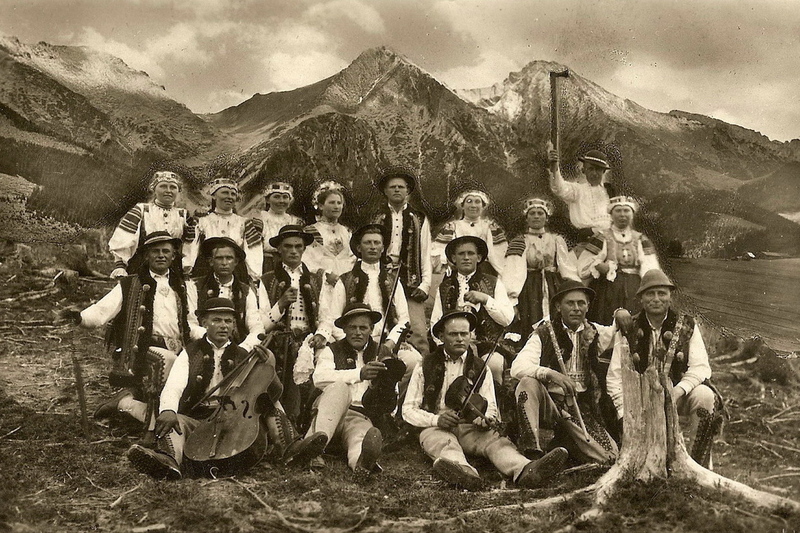 Reportedly, 13 families came to Ždiar, whom divided the territory into 13 sections. Within the second collonization wave the side valleys and adjacent hills had been splitted. According to the oral tradition the first settler settled in the Bachled valley and they were charcoal makers, whom ran down from liege properties on zamagura. 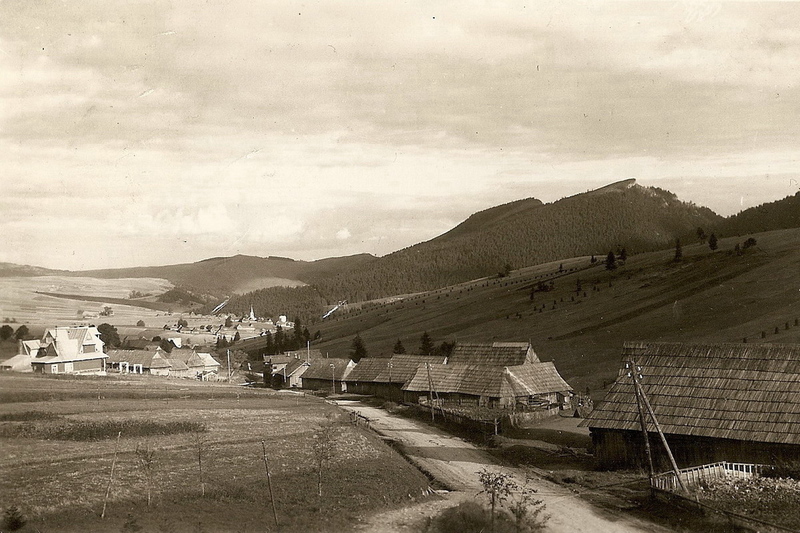 Apart from that, new settlements were created on the Antošovský hill, in Pavlovská valley, Blaščacká valley, Monk valley and on the Slodičákov hill. 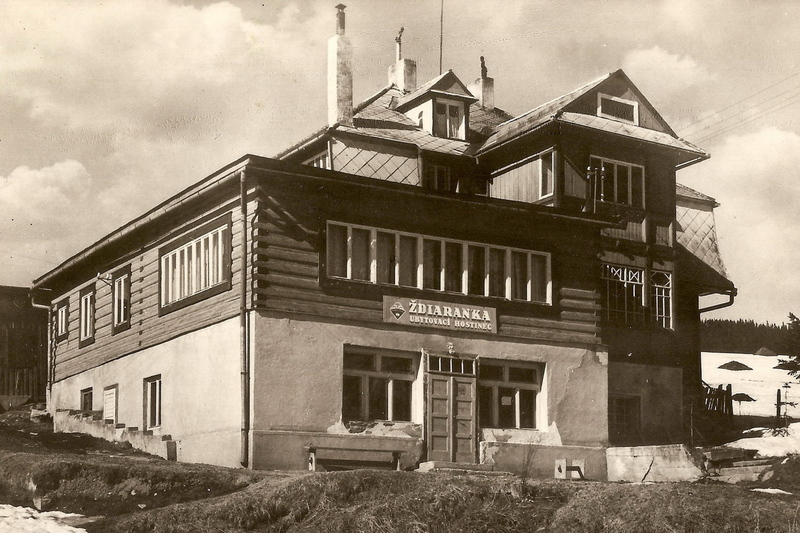 The original Ždiaranka hostel was built and ran by the Viteks from Prague 1932-1934. 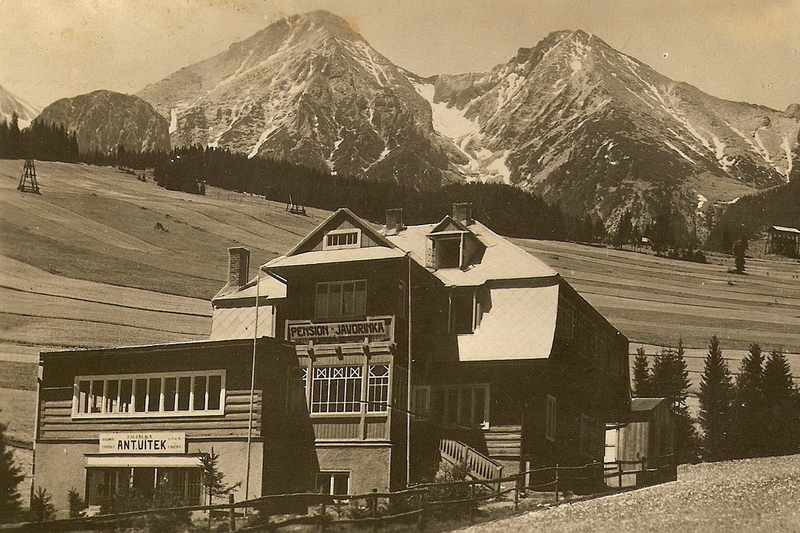 Ždiaranka was closed and demolished in the 70s. 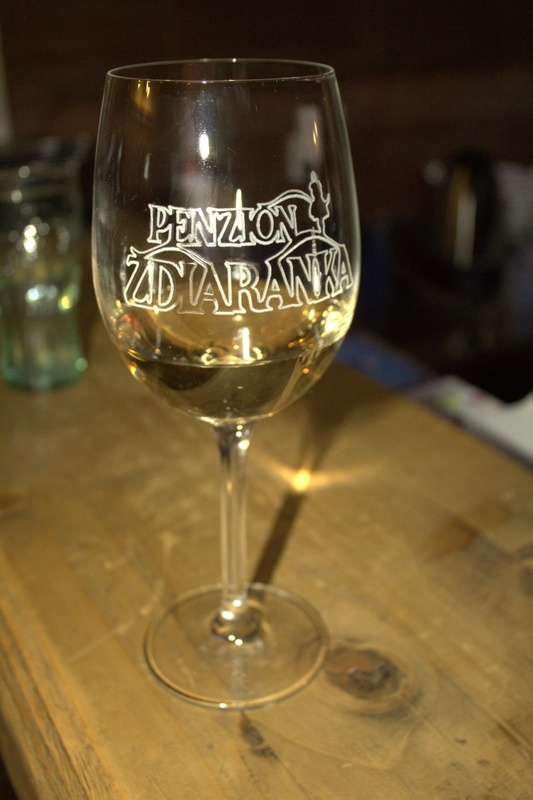 In 2006 and 2007, the new Ždiaranka was built and opened by the family of Pavol Bachled from Ždiar. 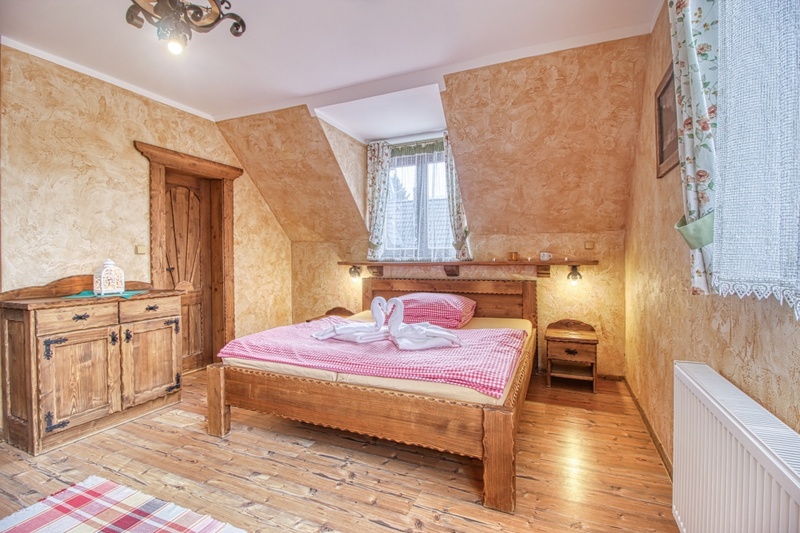 Ždiaranka is offering comfortable accomodation to its hosts in 6 double-bedded, 4 triple-bedded and 3 quadruple-bedded rooms. 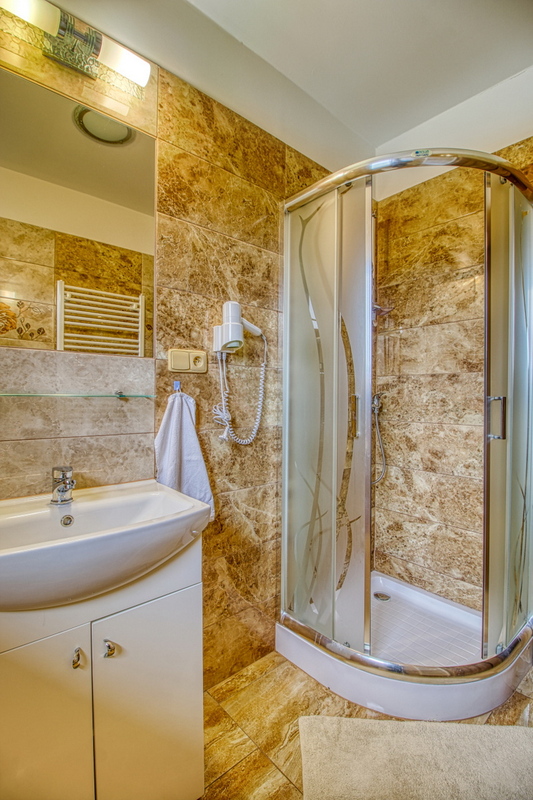 The certainty of every room is a television with satellite reception, WiFi connection and an own bathroom with a toilet. 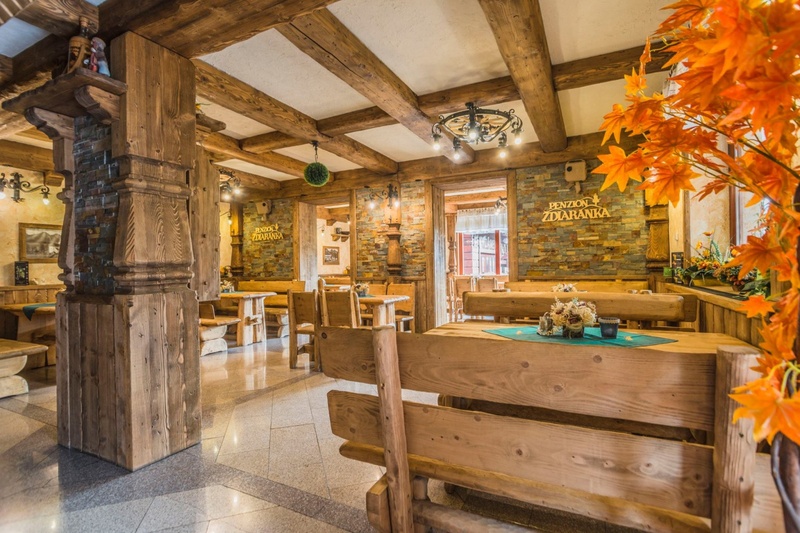 The comfort of our hosts is the priority for the personal of the pension, therefore the accomodated hosts have ensured access to cafes and bars in addition to the tasty meals in the restaurants. You can borrow various board games at the reception for free. 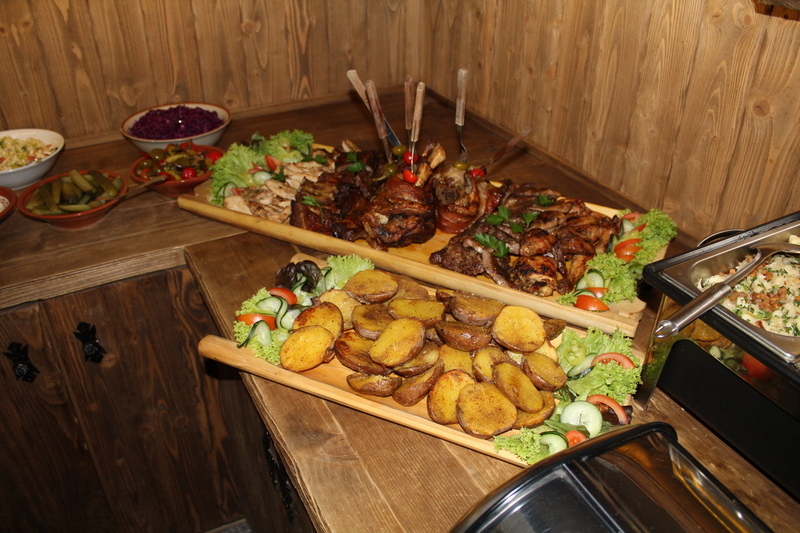 To a great pension belongs without doubt an excellent kitchen, which you can find in Ždiaranka pension. 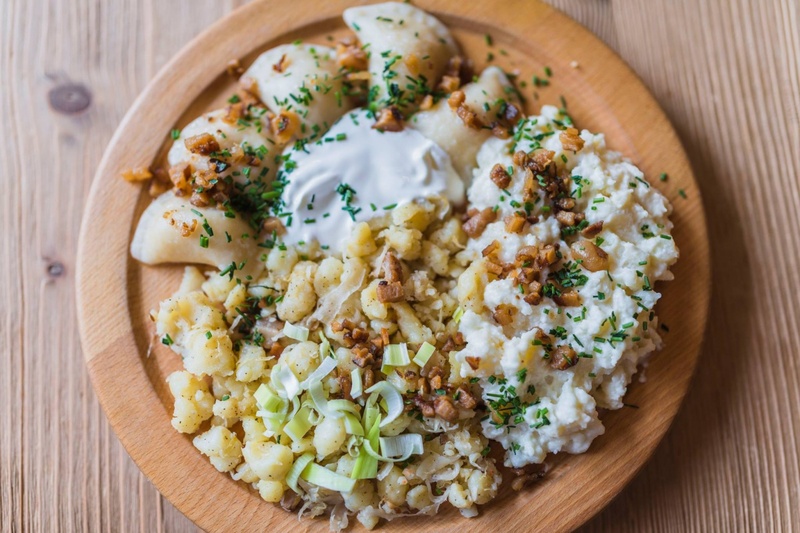 Meals from both slovak and international cuisine. 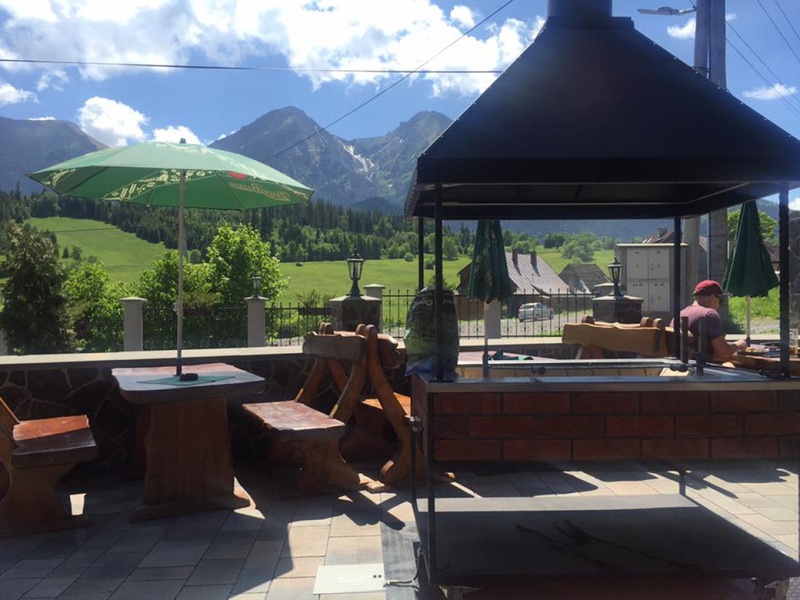 You can also enjoy the unique view at the Belian Tatras from the cafe pension along with a coffee and tartlet. 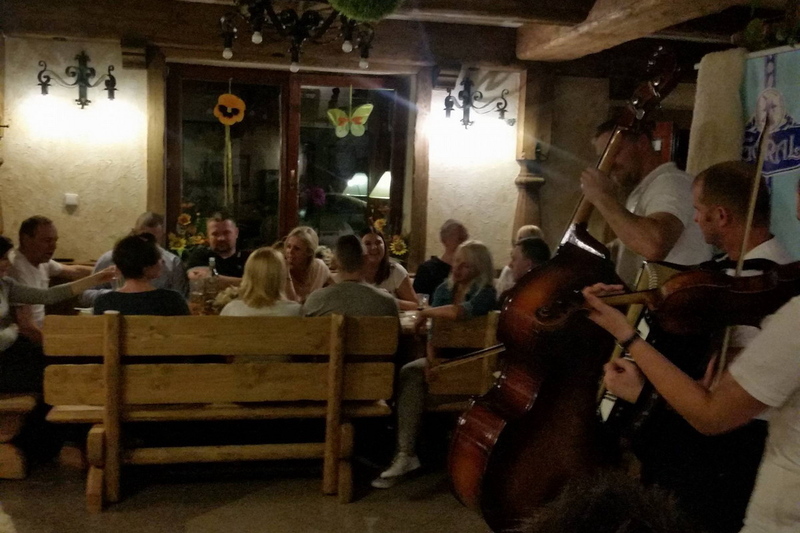 Once in a week we organise a goral evening in the area of the restaurant, where music and traditional local specialities can‘t be left out. 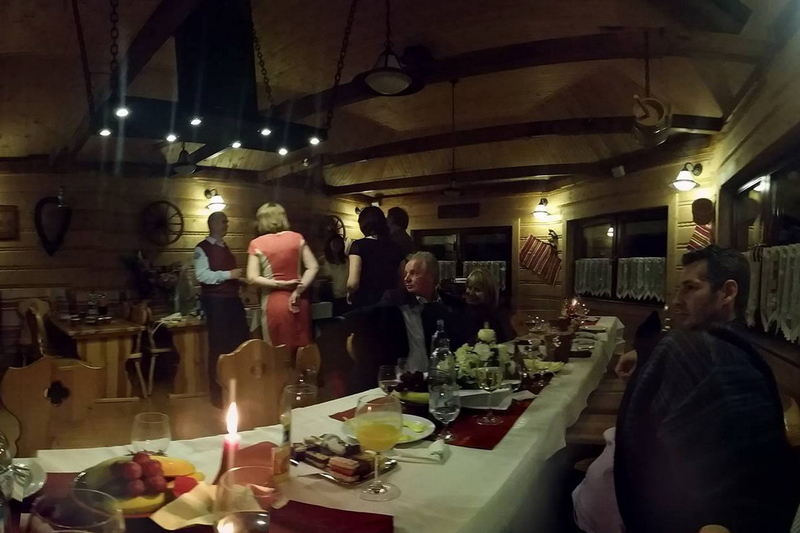 We organise courses and family celebrations up to 32 people in the areas of the shed, We can also prepare you gluten-free, diet, vegetarian meals (needed to be notified in advance). 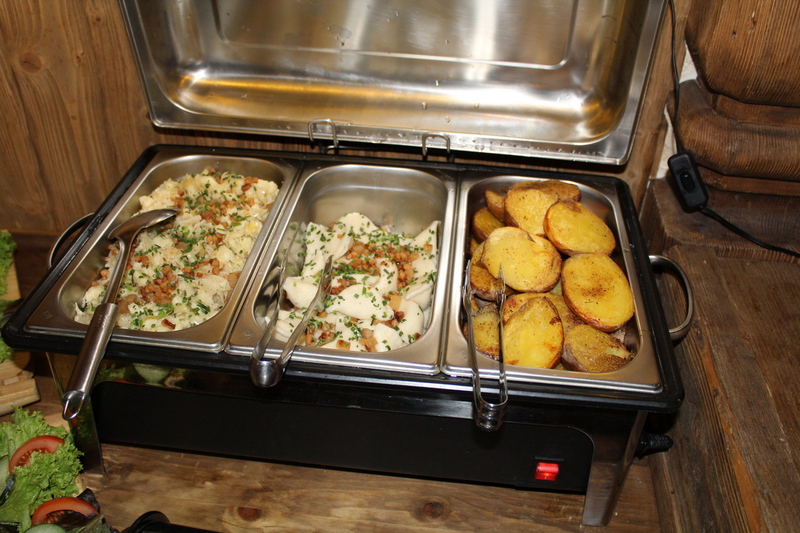 We prepare traditional breakfasts in form of swedish tables and dinner in selection from the menu and dessert. 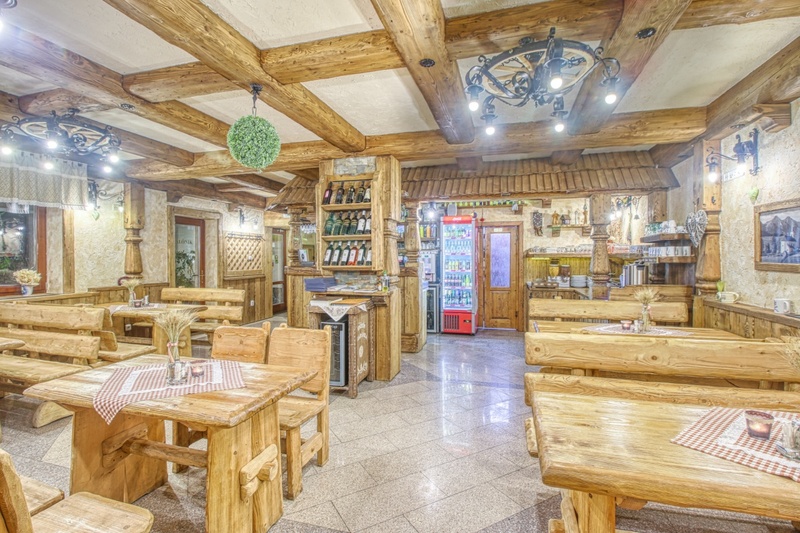 The capacity of the restaurant and bar is 54 seats. 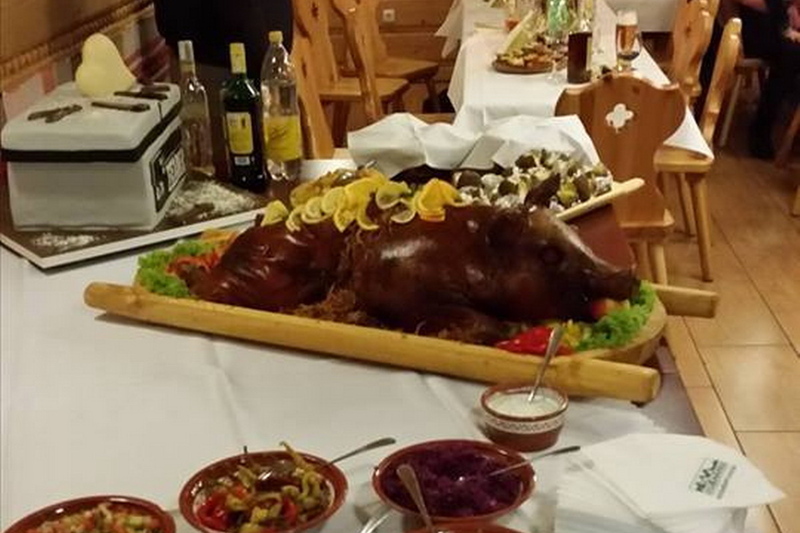 In cafe Poronec we can serve up to 16 people. And our shed has a capacity of 32 seats. 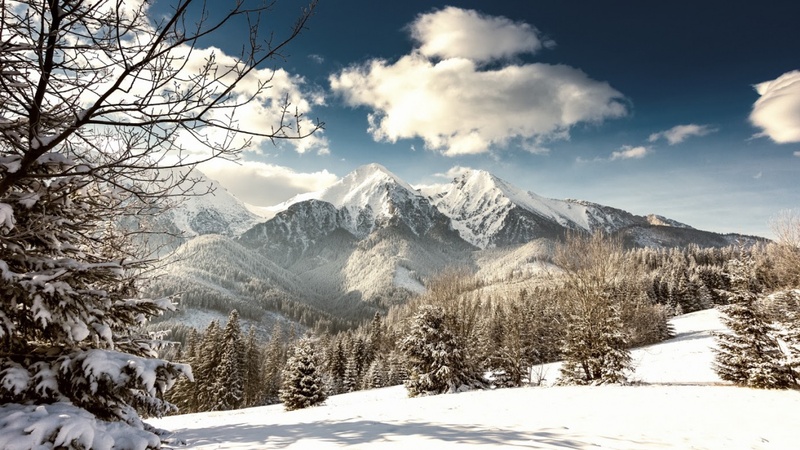 of the picturesque Tatra and Tatra nature. 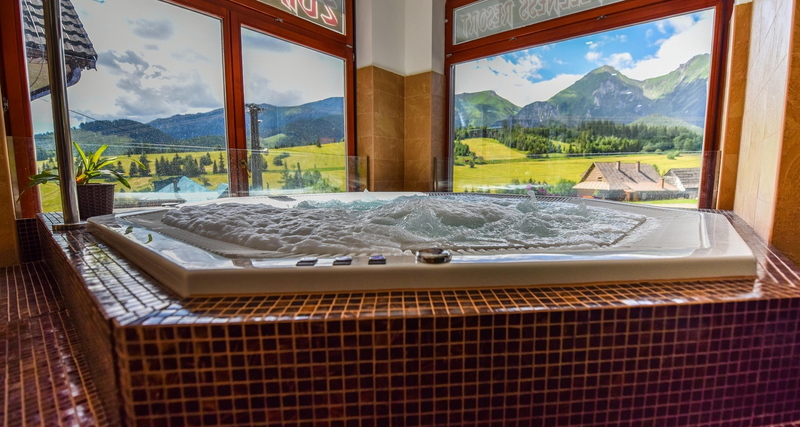 Recreation and relax after an exhausting hike or skiing can be given to you body and mind in our relaxation pool, from which you can take pleasure in a unique view at the pinnacles of the Belian Tatras and detoxicate your body in a finnish sauna with a relaxation zone with music. 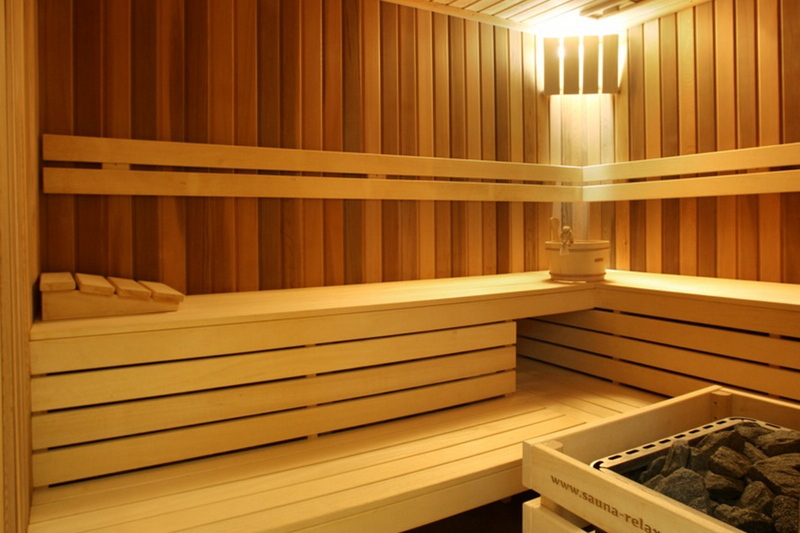 The stay in the sauna is just ideal to relax! It has beneficial effects on health both physically and mentally. Detoxication, recovery, support of blood circulation, revitalization of the skin. 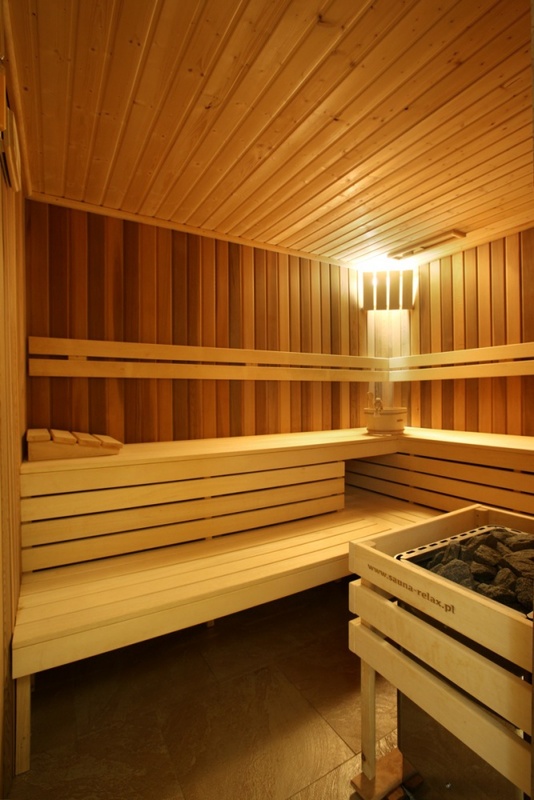 The sauna consists of changing from the hot environment of the sauna to a following cooling. Positive effect are beyond controversy!The person feels like a reborn! 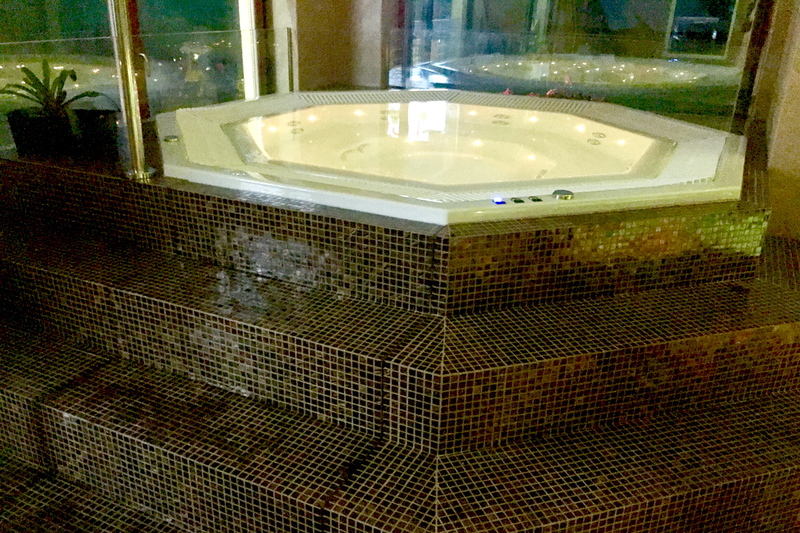 contains upstream – typhoon, spout – cobra, geyser and hydromassage jets. 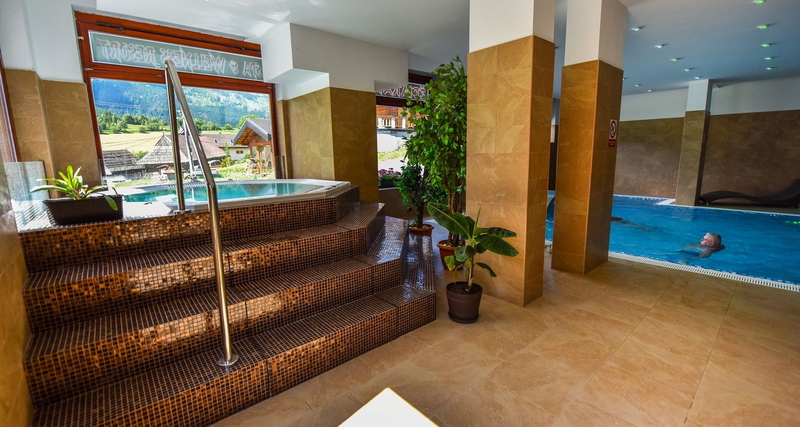 Information regarding availability and wellness prices will be directly given to you at the reception in the pension or at +421 917 278 656, +421 52 44 98 077. 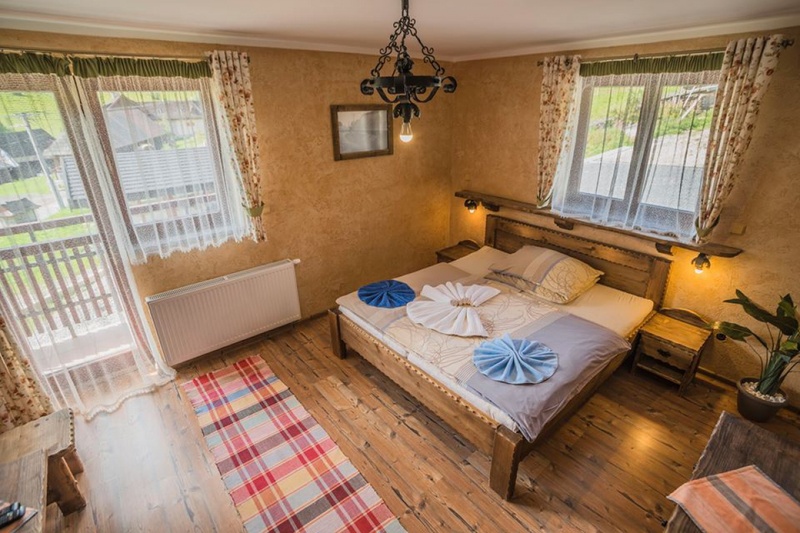 Your free time in the picturesque village of Žiar can be spent skiing, hiking, relaxing or resting, all year round. 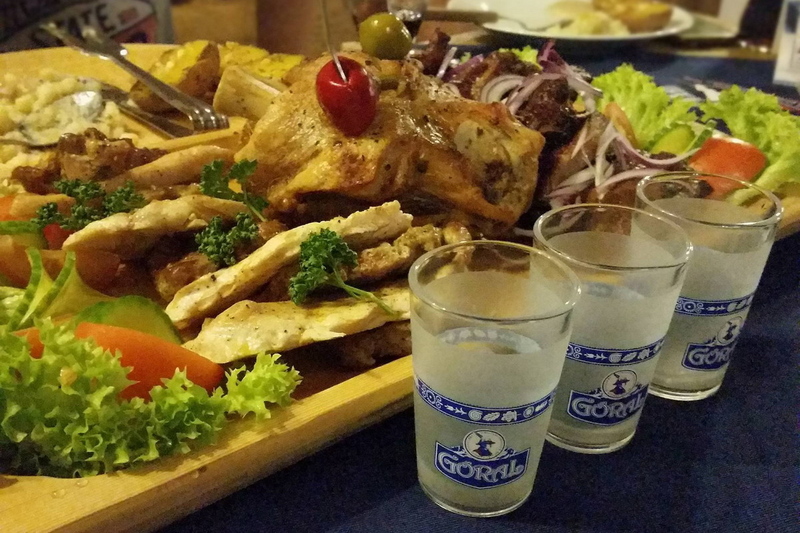 Summer and fall is the right time for tourism. 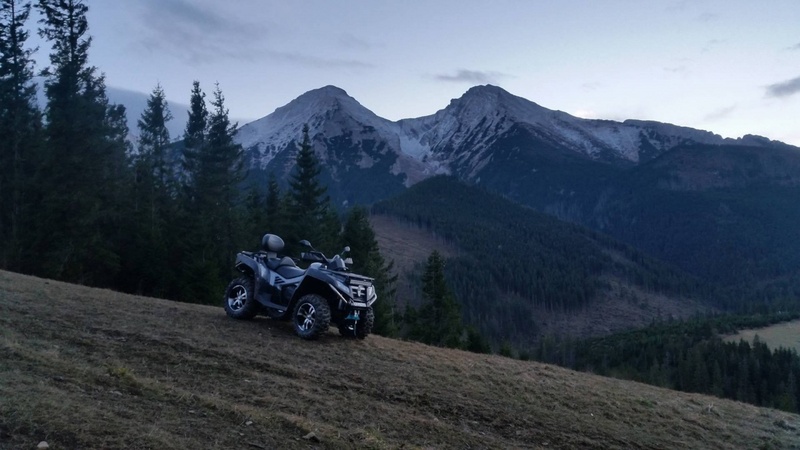 You may complete mountain routes towards High Tatras, Belian Tatras, Javorin, Spišská Magura. The educational footpath Monk valley is open in summer, Spišská Magura, Tatran Javorina,Bielovod valley, Morské oko (up to 10km), Lomnický štít (cableway), Hrebienok, Gerlachovský štít along with a guide, Red Monastery with the choice of either going down the river on rafts or climbing the Three Crowns. 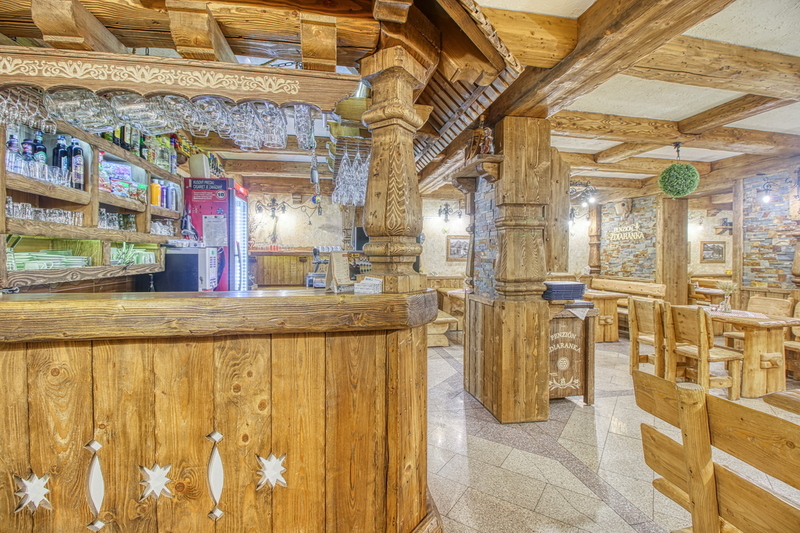 Ždiar is offering a beautiful skiing in winter in ski resorts and private ski tows directly in the village (25 ski tows). 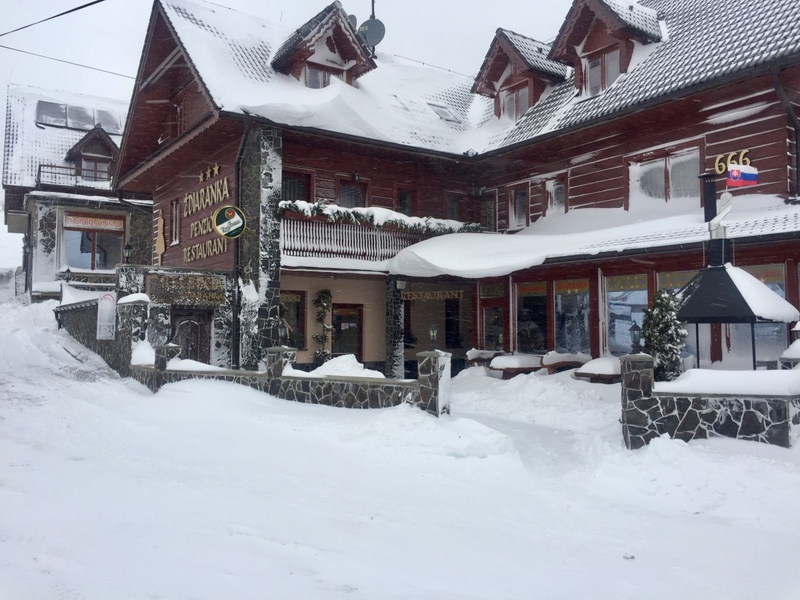 Ski resorts Ski centrum Strednica and Ski centrum Bachledova valley with a cableway with seats and multiple slopes in length of 6360m. 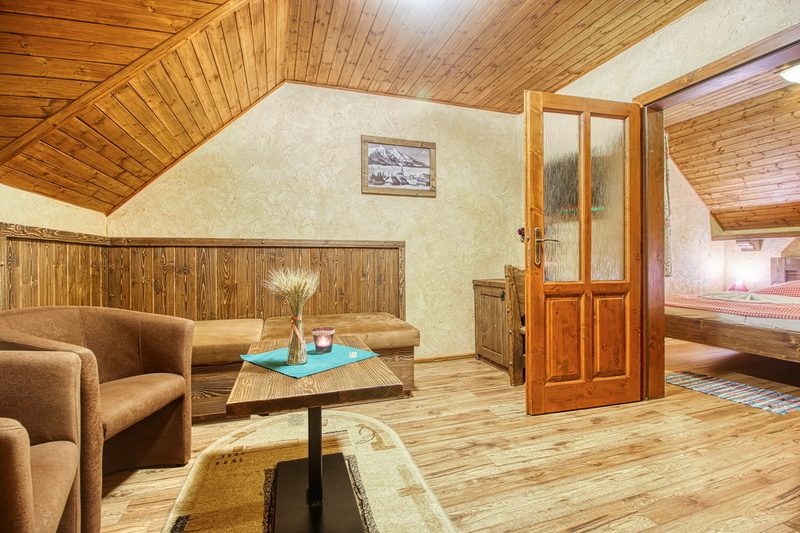 Two private tows are only 50 away from pension Ždiaranka – ski tow Bachleda, Ski centrum Stachan. 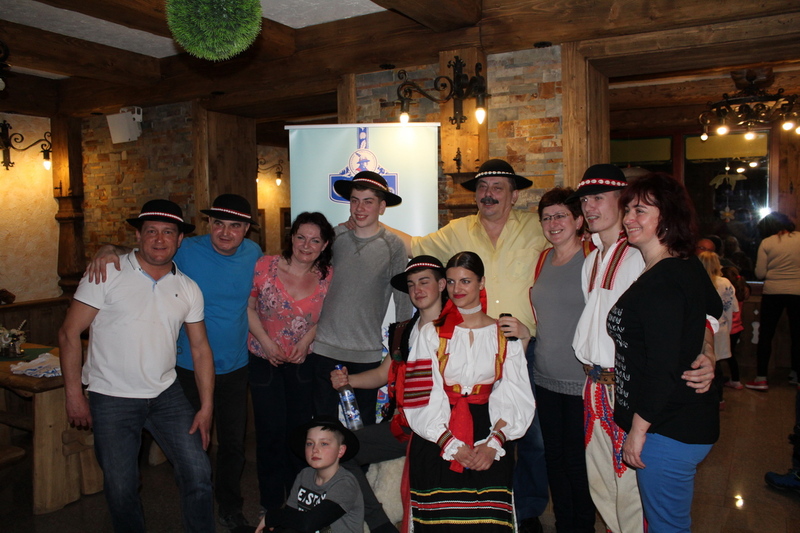 The option of night skiing, skiing instructor, ski rental, ski service. 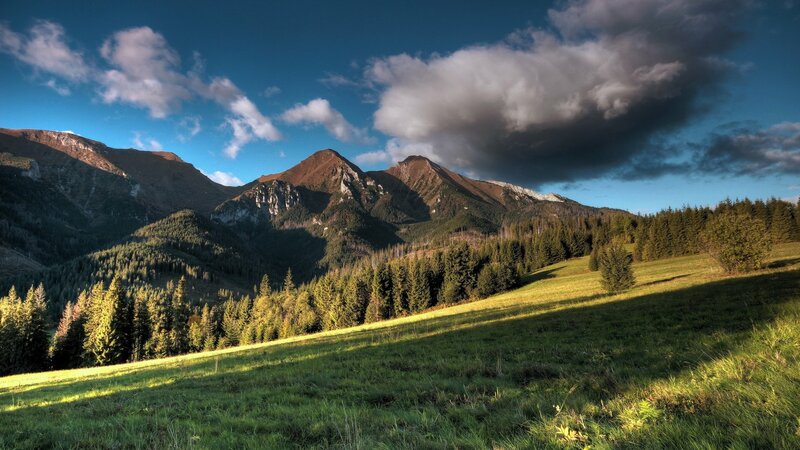 The surroundings of Ždiar further offer running tracks in length of 30km – Monk valley and Spišská Magura. Ski buses are driving around in Ždiar in winter months, which stop directly in front of the pension. 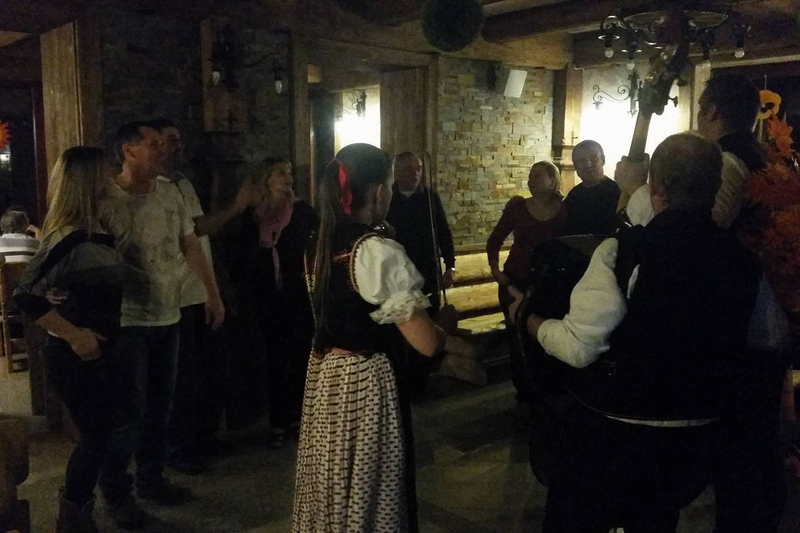 Come and merge into the astonishing environment of the Belian Tatras – the ideal place for event arrangement, courses and team building. 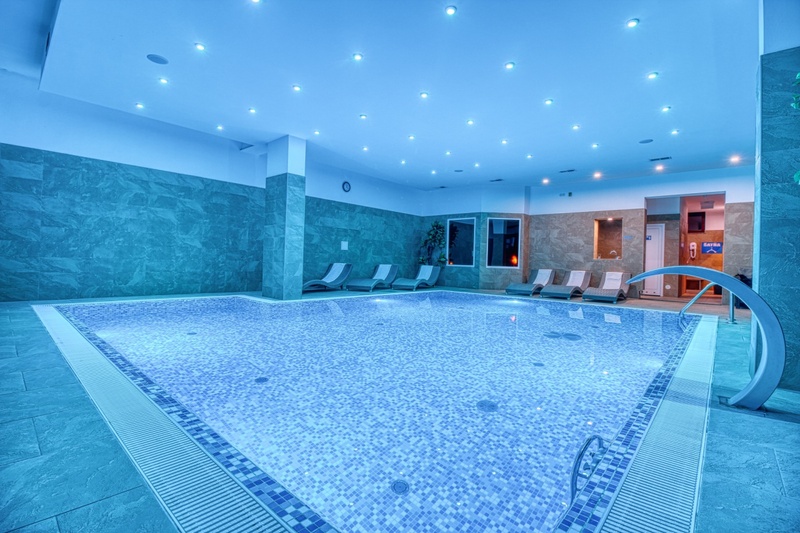 We ensure the training rooms with up to 32 seats with accomodation, food, wellness and with a program at evening. We ensure everything based on your ideas.